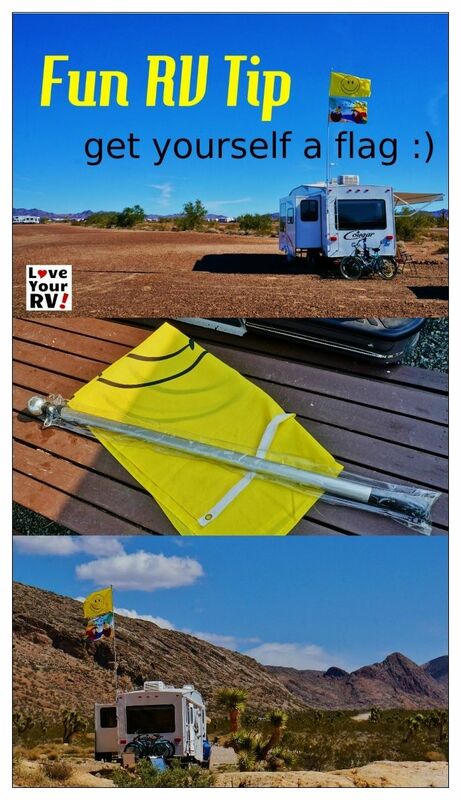 Fun RV Tip Get Yourself a Flag - Love Your RV! 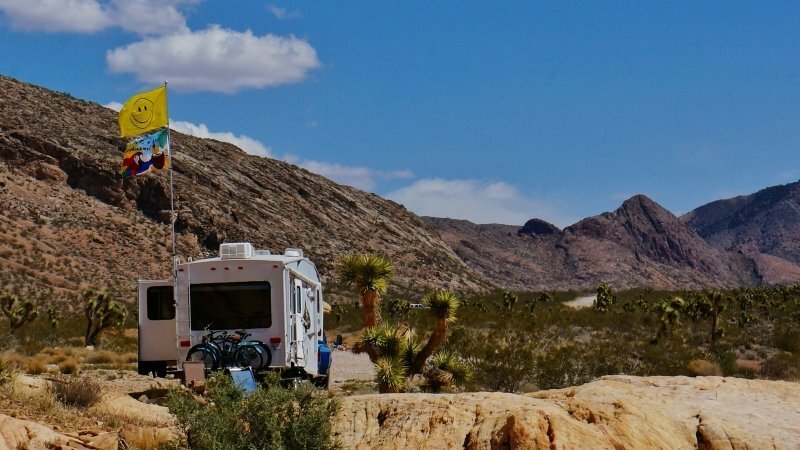 Last winter we explored the American South West and spent a good deal of time boondocking (dry camping without hookups) out in the desert. One cool thing I noticed was how many folks had a flag pole on the rig and were flying all kinds of various flags. I think it may have started with the ATV and dune buggy crowds as you need a flag on your buggy or ATV to be seen in the hilly dunes. 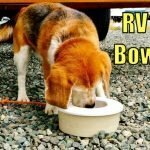 I guess it was a natural to also fly one or more on the RV. Or maybe it’s because the desert can seem so vast you feel like a ship at sea. A land yacht if you will. 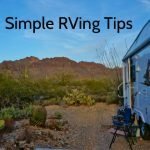 Another spot I saw tons of flags was at the the biggest gathering of RVers on earth, Quartzsite Arizona. 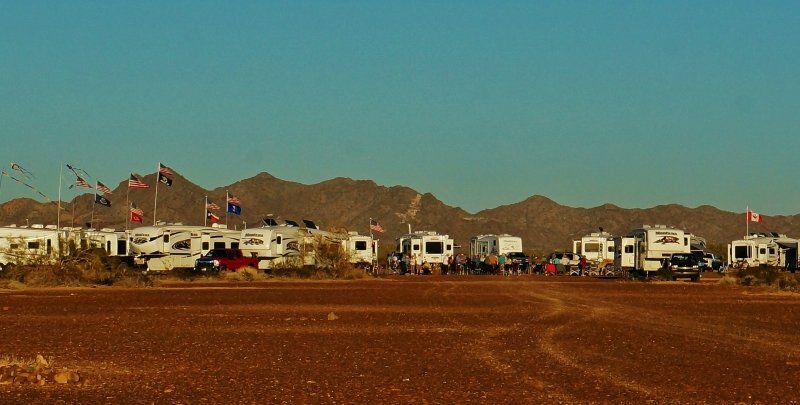 The gathering at Quartzsite every winter draws thousands of RVs and many are there to participate in rallies. 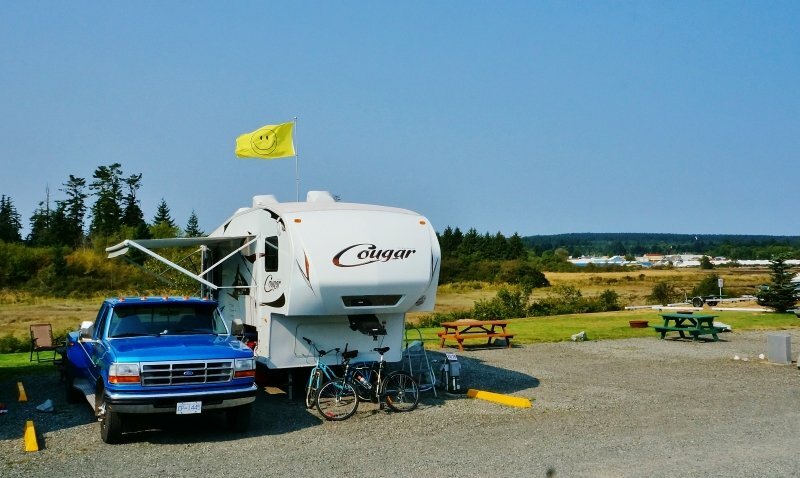 It’s really neat to see a large RV club rally with all the flags flying. When I saw all the flags I just had to have one of my own! 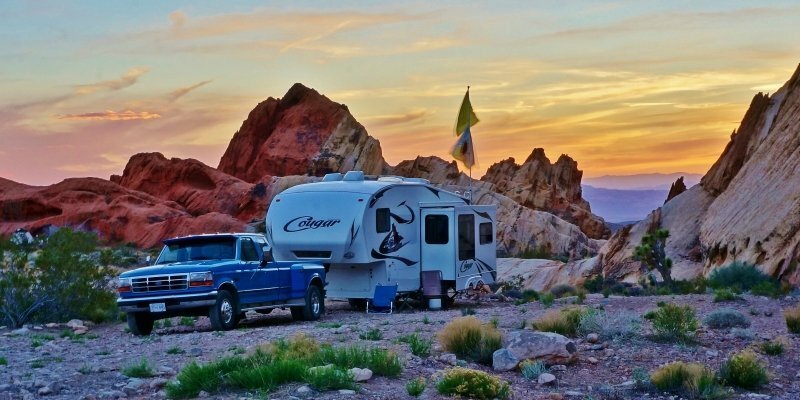 Luckily it wasn’t too hard to find being that the annual Quartzite Big Tent RV show was in full swing. There were several vendors to choose from. Some of the poles were over 200 bucks and made of metal and super tall or outfitted with fancy blinking LED lights. 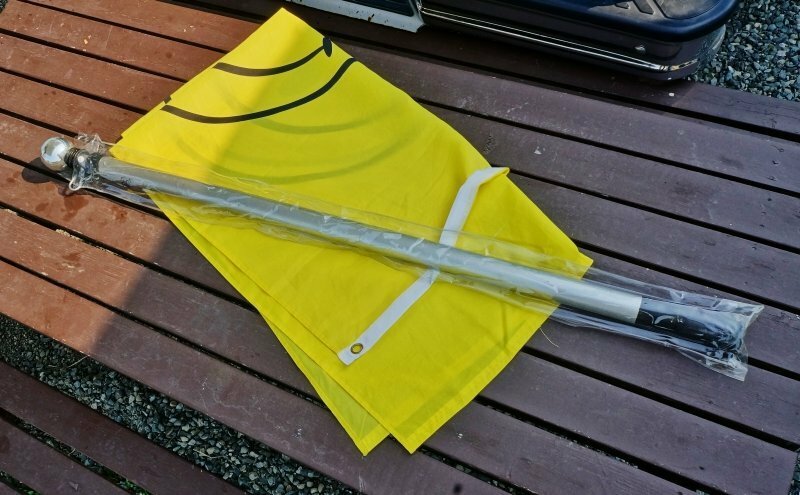 That was a little over kill for me so I settled for a 20 foot plastic pole that would do the trick nicely for $69.95 plus a 10 bucks for some flags. Setting up the flag and pole is dead simple. 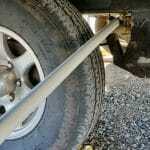 I just needed a flat head screw driver to attach the holder pieces to my rear RV ladder then extend the pole. The pole is self locking as it extends and the flag attaches to push on clips. No tools required. You even get a shiny push on ball for the pole top. Who doesn’t like shiny things? One preventative measure I did to prevent rust and corrosion was to first wrap some rubber tape around the ladder spots where the flag pole holders clamped on. The pole is super lightweight and easy to store as it breaks down to roughly 3 or 4 feet in length. The holder pieces just stay attached to the ladder all the time ready for the next deployment. The one I got comes on and off the holder with very little effort but stays quite secure even in big winds.